Toilet paper. If you're like us, then I'm sure you've got this item on almost every shopping list. It's just something that we Americans see as an essential item - if you're old enough to use the potty, you're old enough to use toilet paper. Do you ever think about how many toilet paper rolls your family is using, though? Right now, we have four adults and three kids living in our house. The amount of toilet paper we go through is almost ridiculous. Not that anyone else notices, though, since it seems I'm always the one throwing the tube away and putting a new roll in its place. Seriously, how hard is it to change a toilet paper roll?? With the new Scott Tube-Free bath tissue, though, at least I'm not going to have to worry about that tube hanging there, taunting me. 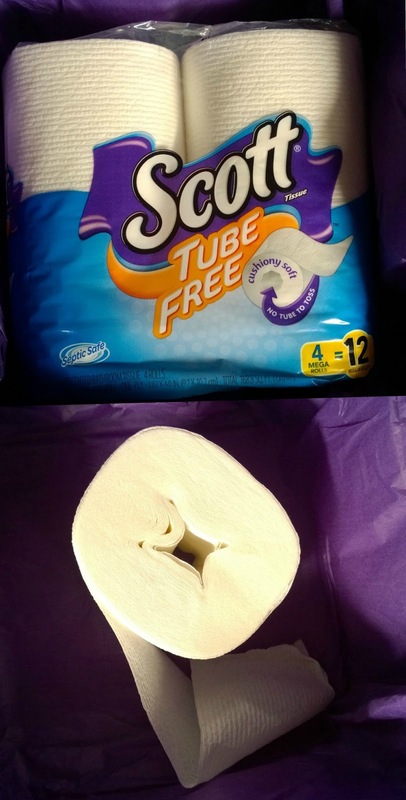 You see, Scott Tube-Free bath tissue is an innovative product that eliminates the cardboard tube, which has been an unnecessary part of toilet paper for more than 100 years. It's still cushiony soft and unrolls just like any other toilet paper, without the wasteful tube to toss at the end. Even small steps can have a big impact on the environment. 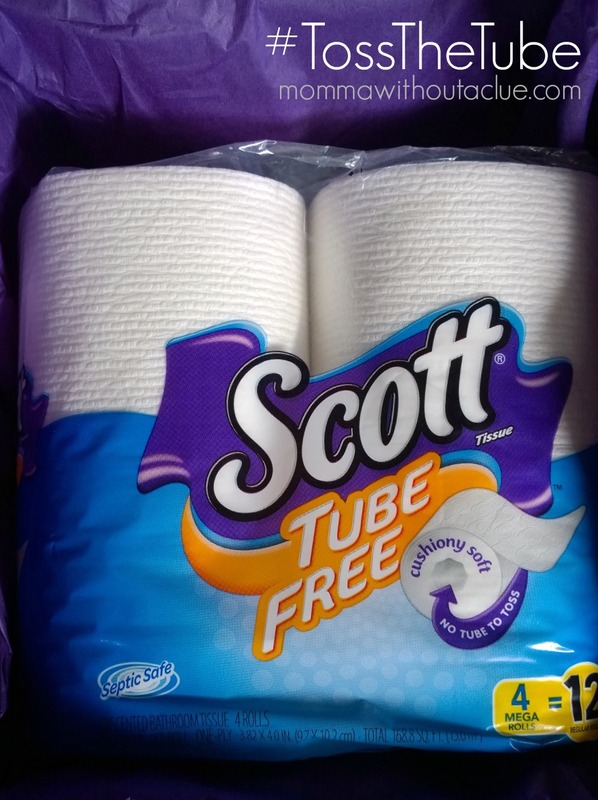 By eliminating the tube, Scott Tube-Free bath tissue gives people an easy way to make a change that reduces waste without sacrificing quality. Scott Tube-Free teamed up with a YouTube prankster, to demonstrate how the toilet paper tubes we use have a big impact on our world. His toilet paper tube stunt demonstrates how the toilet paper tubes we use have a big impact on our world. The stunt uses 66,000 tubes, which is the amount of tubes we Americans go through in just over two minutes! 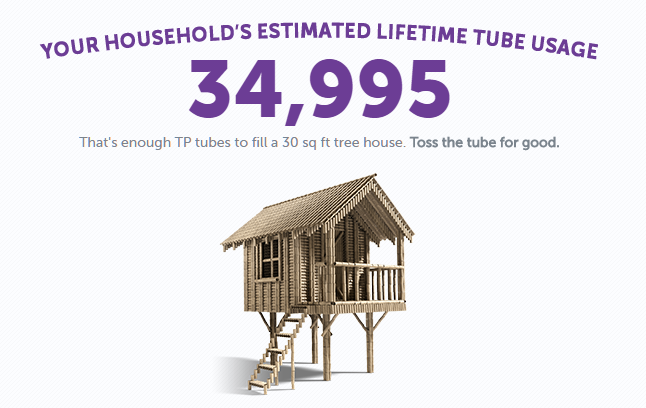 By making a simple switch to Scott Tube-Free, you can save around 150 tubes per year - how many the average household uses annually! Scott Tube-Free can be found at select retailers nationwide and online. Visit scottbrand.com/where-to-buy/tube-free-tissue to find a store near you.